Microsoft is planning to release Windows drivers for the Kinect this spring, months after open source drivers were developed by a motivated hacking community. [Johnny Chung Lee], who worked with the Microsoft team when the hardware was developed, mentions that he had pushed for the giant to develop and release at least basic Windows drivers. That refusal led him to a position as top cheerleader and bounty contributor in Adafruit’s Open Kinect Contest which resulted (quickly we might add) in the availability of open source drivers. 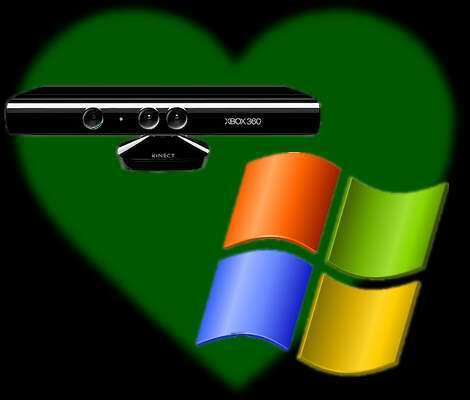 If you’ve been following Hackaday or any other tech blogs the last three months you’ll know that an explosion of projects using the Kinect followed, and [Johnny] figures Microsoft’s decision to release Windows drivers is an attempt to ride this wave on their own flagship OS rather than continue to watch from the sidelines. I just might go out an buy a Kinect…. Does anyone know of a way to connect a Kinect that was bundled with the xbox to a computer? it doesn’t use a standard USB header. its fatter and has a notched edge. @alan- You need a power supply currently only available through the microsoft website. Gamestop etc are supposed to have in stock for sale at this month’s end. The Kinect uses additional power that isn’t supplied by standard USB. They release drivers for the kinect, but they still refuse to make drivers for the chatpad xbox accessory. I don’t understand why they don’t spend a little time to develop a chatpad driver and a wiimote driver too. It would be a big “hey lookit, here’s another reason to use us for your htpc instead of a dedicated windows-less set-top box” point. Talk about showing up late (and under-dressed) to the party…. Hm, that means MS isn’t taking losses like they were on the xbox. That’s good. They should do a lot to encourage it. I was pleasantly surprised with the kinect, but haven’t had the opportunity to mess around with it yet. It’s cool to know now that it’s ‘officially’ encouraged. “they” who? If you mean Ninty, then of course not. But other people have already, much like the Kinect. Either the initial buzz surrounding the launch of this, and Micrososft giving it the large about the security etc, and the alleged competition in retaliation to this where perhaps a clever marketing trick to determine what the current hacker community market would be like for this. Then they drop this on the community. OR they realise they dropped a bollock on this, and are quickly reversing back up the wrong turn they took. Either way, as much as we may call MS over, they at least HAVE started taking steps to open this up, and as already pointed out, probably taking a significant hit in losses on this. Microsoft is a big company and there is a difference between writing open source driver and going though a development process in a professional setting. Besides,who knows if the firmwire has had an upgrade? On a more serious note. Johnny Lee is an awesome guy. I hope a game developer will stumble upon his 3d head tracking project and make use of the Kinetics’s tracking abilities to implement it into something. Imagine it, perspective 3d without any special screen or glasses. nice, this opens the doors for actual developers to come up with games and apps for windows with Microsoft’s blessing. would anyone mind sharing some of the more useful things they have done with their kinect? I had mine hooked up to XBMC for gesture-based navigation but honestly after the first day of ‘oooo thats awesome!’ it was just way too cumbersome and i went back to using a standard IR remote. I’m usually not one to comment unless excited about the technology posted. The word choice in this blog article is horrible. Johnny Chung Lee, Cheerleader? Flagship OS? Flagship Product?